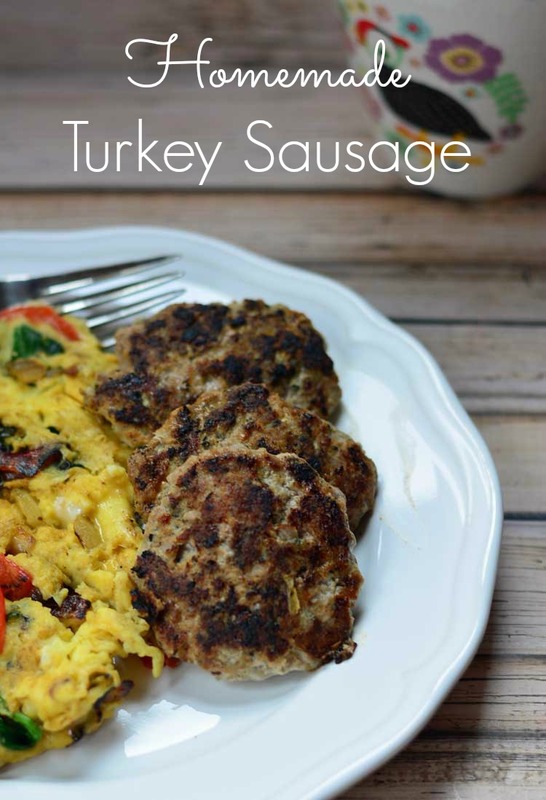 Homemade turkey sausage is quick and easy to make! 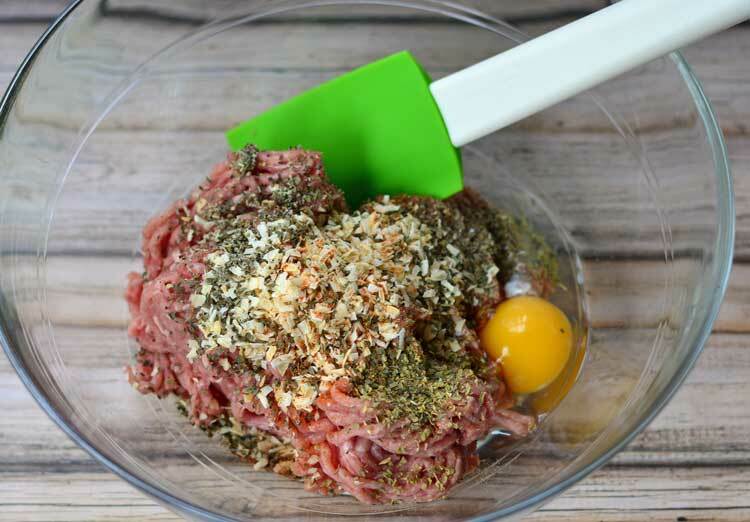 Ground turkey is mixed with spices for a delicious addition to breakfast, lasagna or any recipe that calls for sausage. We don't really eat that much breakfast sausage as we much prefer bacon (and really, who doesn't?!). But occasionally I'll need breakfast sausage for a recipe. This homemade version is super simple to make. 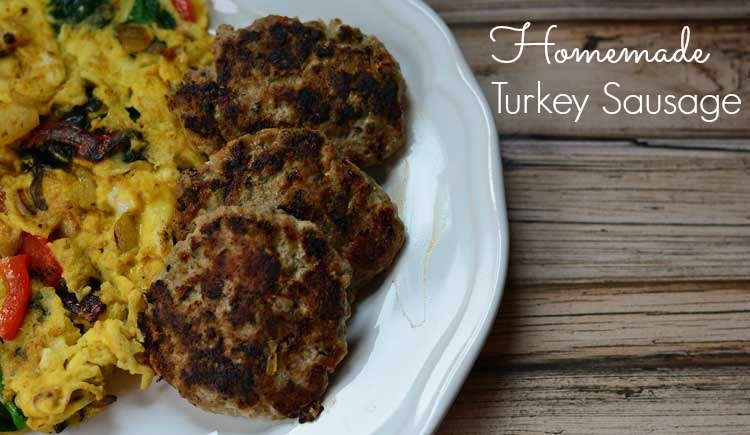 This recipe calls for turkey, but you could really use any ground meat. Most sausage is made out of pork, but chicken or even beef would work. If you don't have time to let it sit overnight, just use it right away. The recipe doubles and triples easily so make a big batch while you have all those spices out and freeze. 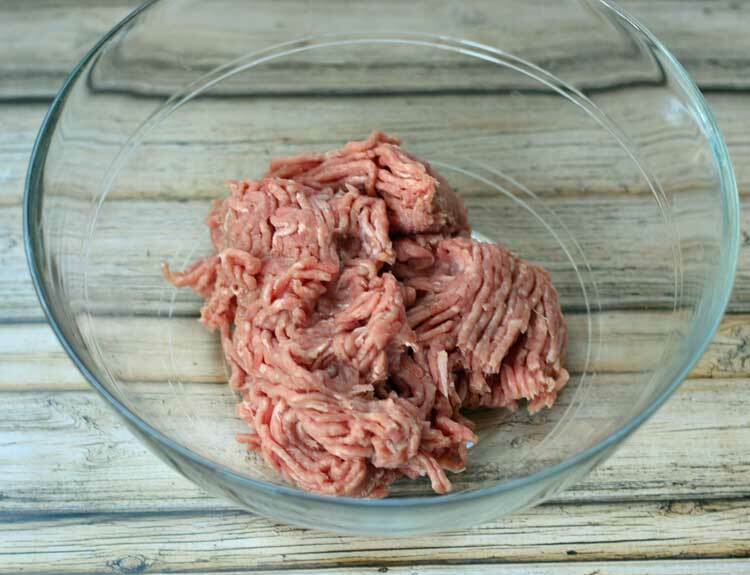 Start with about a pound of ground turkey – or pork or chicken. Beef would work, too, I think, but it's not your “normal” sausage meat. Ground game like venison or bison would work as well. Add all of the spices and the egg to the ground meat. Pick and choose which spices you like and don't like. Sometimes I'm out of something so I just skip it. Add in a little maple syrup if you like maple syrup sausage or extra sage if you like that. The best thing about this recipe is that you can make it fit what your family likes. I ended up adding a lot more salt for this batch. I'm not sure if maybe it was the meat, but when I tested the batch it just didn't seem salty enough. Now, just mix it all together. You don't want to work the meat too much but you do want it mixed thoroughly. At this point you can cook it, but letting it sit for at least a few hours will allow the flavors to meld. You can also freeze it. 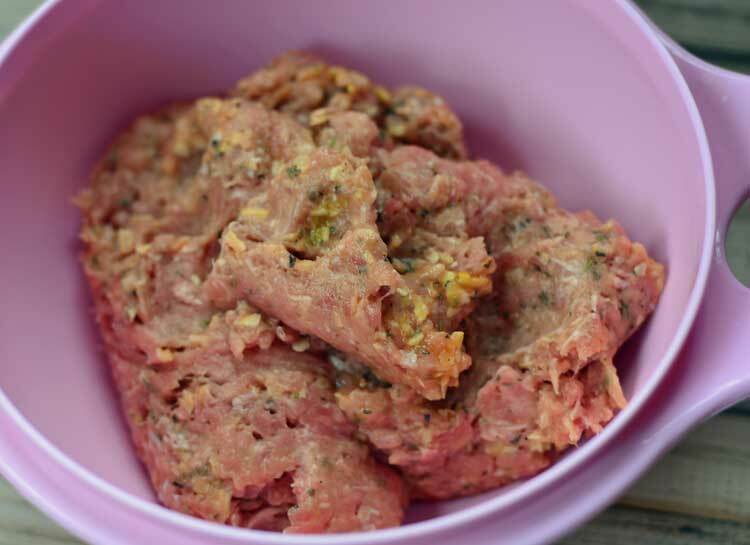 Just make it in to patties and freeze them on a cookie sheet. Stack them up in a bag or container and you'll have fresh sausage ready to go. When you cook the sausage, you may need to add a little fat to your pan depending on how lean your ground meat was. You don't have to use the sausage as patties. You can also use it in any recipe that calls for bulk sausage. Let sit overnight (preferred) or use immediately or freeze for later. To cook, fry up in butter. Recipe adapted from Heavenly Homemaker. I made this tonight! I left out Chyanne and sea salt, instead I had steak seasoning so I just used it, And then I fried it in bacon grease and they were fantastic! My family didn’t even know it was turkey! Thank you so much!!!! Great tip to use steak seasoning! Your sausage looks and sounds great! 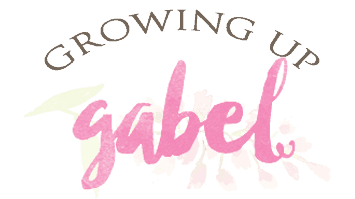 I tried my hand (unsuccessfully) once and this post has given me new inspiration to try again! 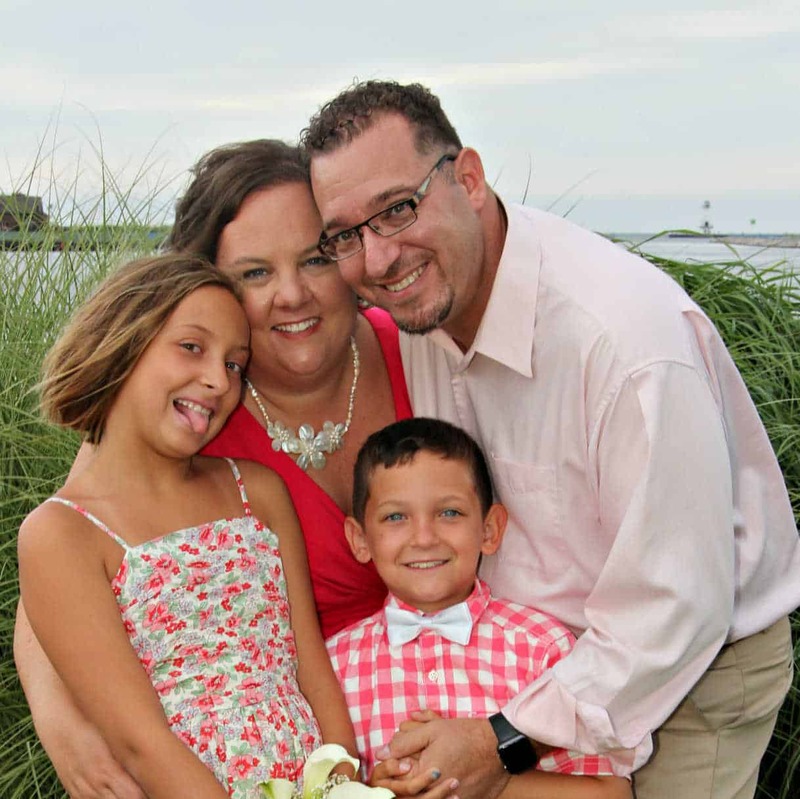 Visiting from Tell Me About It Tuesday! I hope you give it a try! It’s so easy, too. Thanks for stopping by! I think ground chicken would be fabulous with this. You can definitely mix up the spices to find what you like the best. This is such a wonderful recipe. I pinned it. Here in Brazil there is no breakfast sausage. I am thrilled to have a recipe that looks so good….thanks…have a great week. I wonder if that’s a more European thing. Glad to help you make your own!